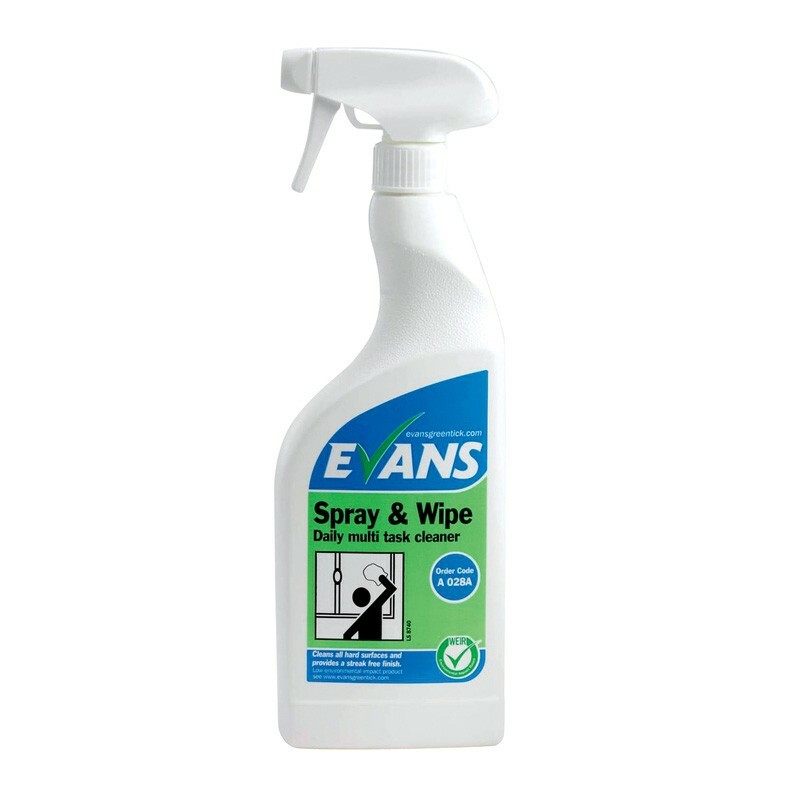 Evans Spray and Wipe is non solvent, non perfumed multi task cleaner. Removes general soiling and leaves a clean, sparkling streak free finish. Suitable for laminate, glass, mirrors, monitors, veneer, plastic, paintwork and a variety of hard surfaces. Quick and efficient multi task cleaner. Perfect one product choice for cleaning interior hard surfaces. Ideal for use with a microfibre cleaning cloth. Unperfumed, suitable wherever food is displayed or served. Has a pH of 10.0. Full case pack size - 6 x 750ml trigger bottles. Use undiluted. Spray sparingly directly onto surface and wipe clean with paper towel or a clean, dry cloth. For small areas, spray onto cloth then wipe surface.